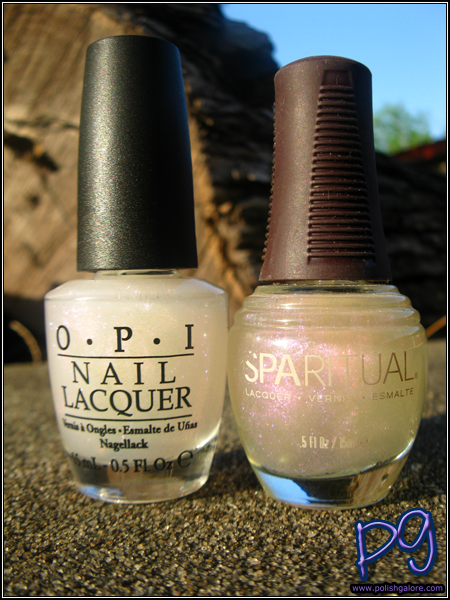 So when I saw OPI I Juggle...Men, I immediately thought of SpaRitual Shower The People, since they are both clear bases with purple microglitter. Could I have been anymore wrong? 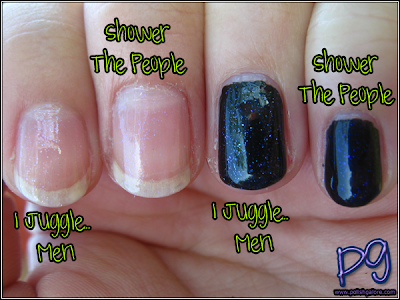 I used a base of Seche Natural and 2 coats for my bare nails and a coat of CND Blackjack for my other nails. 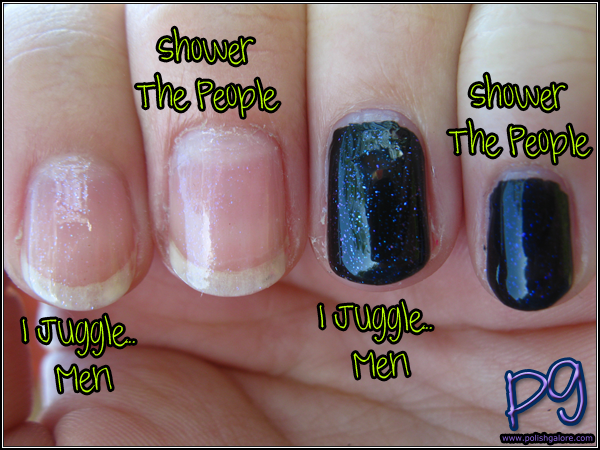 I Juggle...Men is more of a blue/purple base with lighter particles where Shower the People is strictly purple. It's super hard to tell in pictures, but you can tell the difference in person, promise.